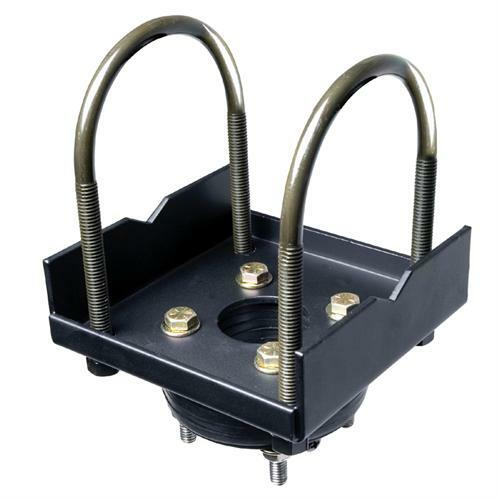 More on the Peerless Truss Ceiling Adapter with Stress Decoupler DCT100 below. Call our Peerless AV experts at 800-807-1477. Integrated, high-density rubber decoupler, designed to absorb vibrations and prevent damage to mounted equipment. 1.5" 11.5 NPT fitting, compatible with all of Peerless' EXT and ADD-series fixed and adjustable extension columns. Easy attachment on round, square, rectangular or i-beam trusses up to 3"W x 3.5"H.